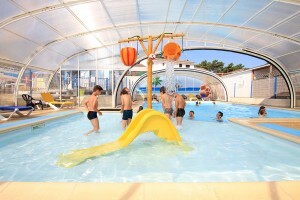 Campsite with covered, heated pool in Vendee. 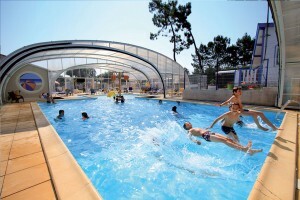 Come and swim in the covered, heated pool on the 4 Star Campsite Les Flots Bleus. 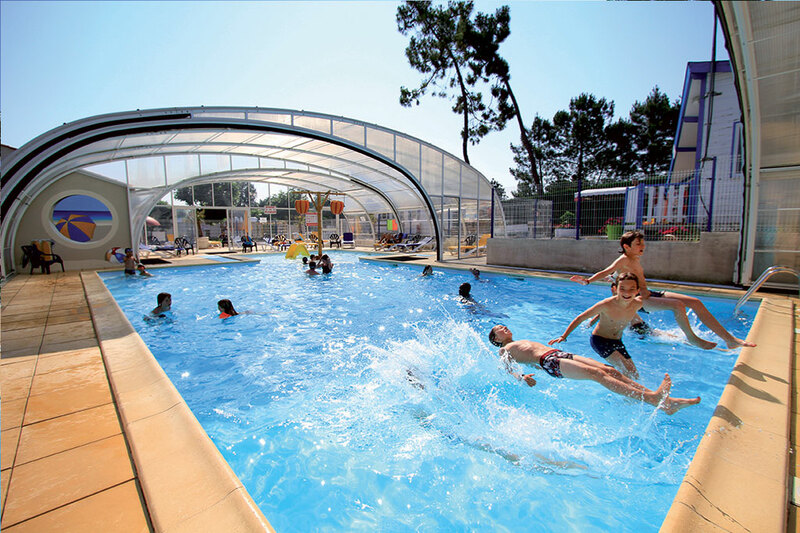 The water is kept at 29° and a 13 metre long pool awaits you. 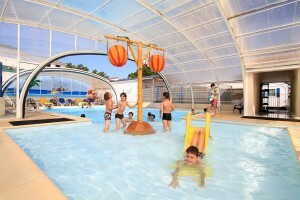 For your relaxation, sun loungers are availables for you in order to make the most of the solarium. You will also find a paddling pool, for the delight of our younger holidaymakers. 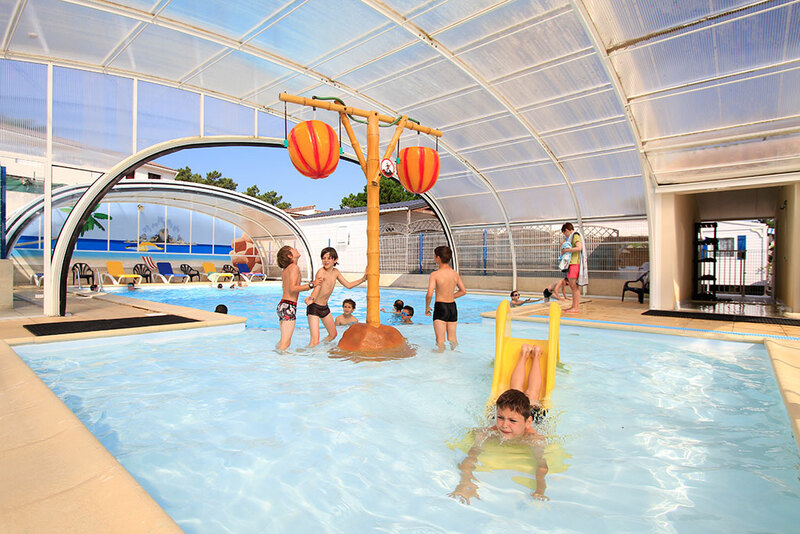 A perfect setting to have fun and spend a pleasant time with your family. 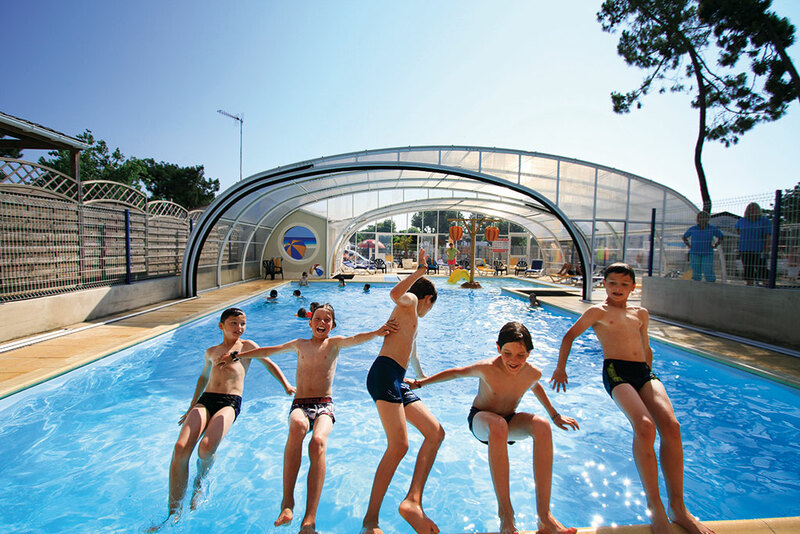 Swimming shorts are not permitted. Only swimming trunks and costumes are allowed. 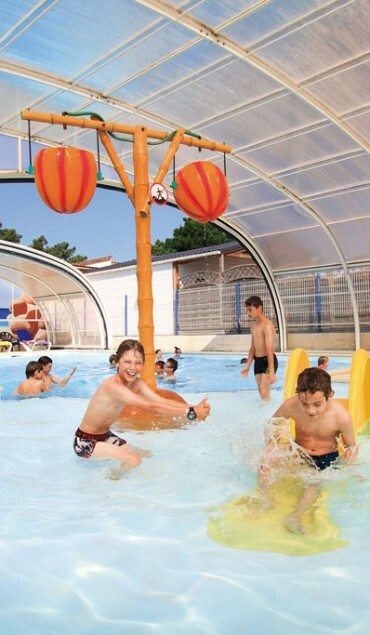 The beach is just 200 metres from the campsite. You can also easily get to the sea and its warm sand. 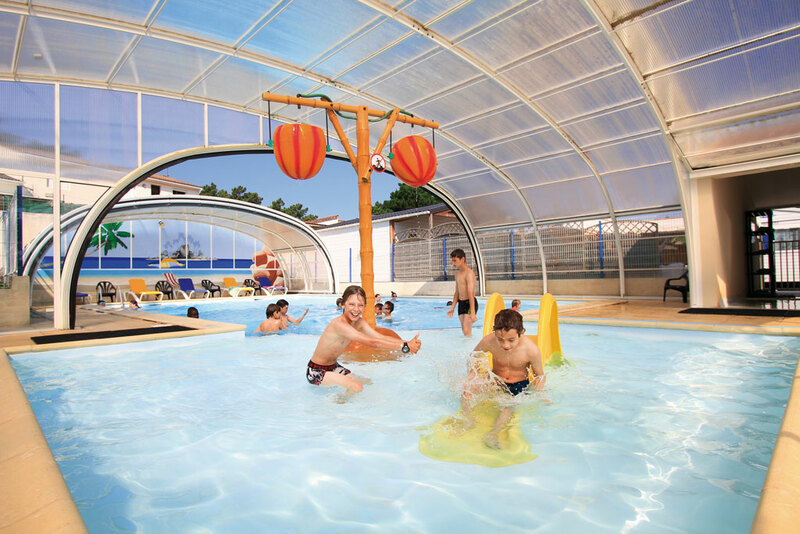 Ideal for you to enjoy your favourite water activities and the sea air benefits.